Phototex Solvent is a patented, 240gsm adhesive fabric that can be easily applied almost anywhere, then removed and reused as desired. Compatible with Ecosol, solvent, Latex and UV inks. 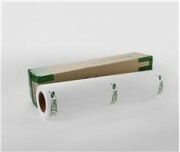 Phototex's unique adhesive material will not shrink or curl. Application is simple. Phototex wont rip and easily pulls apart if stuck together during installation. Phototex can be illuminated with a backlight, be wrapped around all corners, ceilings and poles, repositioned and re-used over and over again - the adhesive never weakens. Applications are almost limitless - art murals, wall and door coverings, elevators, vehicles, windows and more. 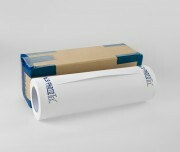 Phototex can be easily cut using a vinyl (60 degree blade) for contour graphics. 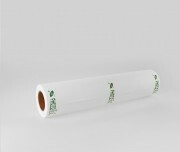 *Liquid lamination is recommended for outdoor applications for all Phototex products.